A knife-wielding attacker posed as a law enforcement officer to get inside a Virginia home, stabbed the residents multiple times then told them he'd be back to finish the job as his wife waited outside, prosecutors said. The suspect, 31-year-old Andrew Schmuhl, was wearing nothing but a diaper when he and his wife were apprehended after a car chase, authorities said Friday. These and other disturbing details emerged during a bond hearing for Schmuhl's wife, 30-year-old Alecia Schmuhl, Friday morning. The Schmuhls, both lawyers, are accused in the attack of a couple in their 60s. Police have said the attack apparently stemmed from a workplace dispute. Alecia Schmuhl had worked with the male victim at the Bean, Kinney & Korman law firm in Arlington, but a law enforcement source said she had been fired recently. 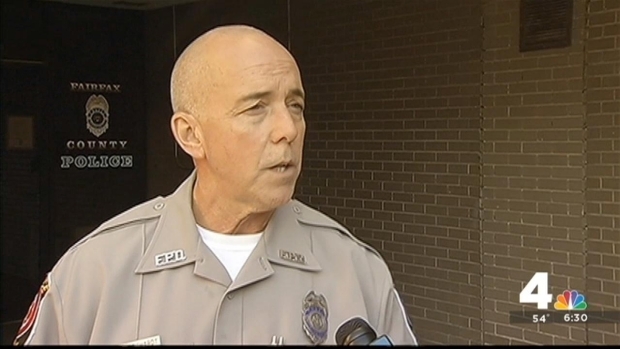 A knife-wielding attacker posed as a law enforcement officer to get inside a Virginia home before stabbing the residents multiple times, and -- as he prepared to flee -- he told them he'd be back to finish the job. The Schmuhls, of Springfield, both face two counts of abduction, two counts of malicious wounding, and other charges. During Alecia Schmuhl's bond hearing Friday morning, prosecutors said her husband, armed with a gun and a Taser, knocked on the door of the victims' home in the 900 block of Spencer Road in McLean, while posing as an officer. Andrew Schmuhl allegedly tased the male victim and forced his way into the house, ordering the female resident into the bedroom. He bound both the husband and wife with flexible cuffs and told them he was investigating the husband's law firm, according to prosecutors. Prosecutors said Schmuhl fired a shot at the female victim, who was not struck; tased both and stabbed both repeatedly. The female victim managed to trigger a panic alarm in the house, but before leaving, the assailant told them he'd be back to finish the job. Andrew Schmuhl brought two disposable cellphones into the house with him, and talked on the phones throughout the crime, prosecutors said. The phones were left behind after the attack. A pair of attorneys have been identified as the suspects in a bizarre home invasion and abduction that targeted a couple in McLean, Va. When police arrived, the male victim gave them the identity of the suspect. Alecia Schmuhl stayed outside during the attack, prosecutors said, but video footage allegedly shows her buying a Taser at a Northern Virginia gun store on the Friday prior to the attack. The suspects were arrested about an hour after the crime, following a police chase that went on for three to four miles. 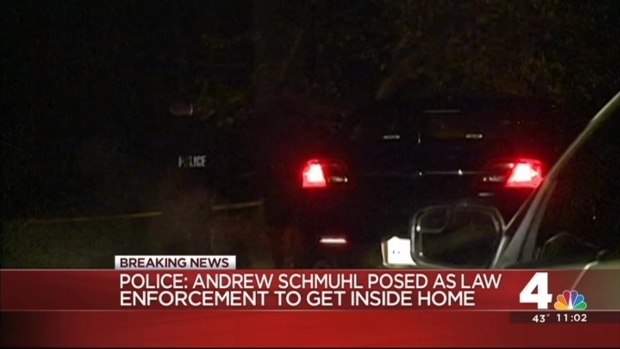 When they finally succeeded in pulling them over, officers discovered Andrew Schmuel was wearing just a diaper. Both victims remained in the hospital Friday. The female victim is expected to be released soon. 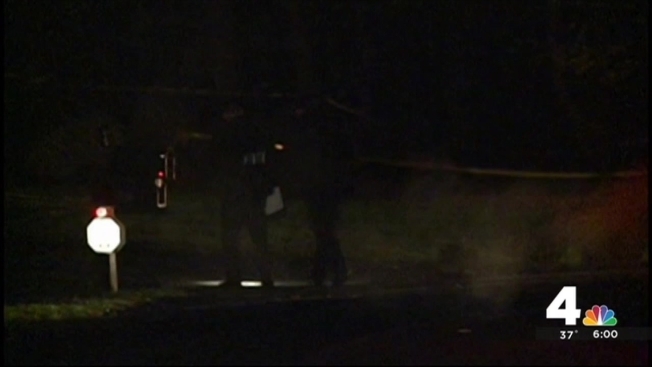 The male victim remains in grave condition. Unable to speak after the attack, he has communicated with authorities by writing notes, including one that said the attacker had threatened to return and kill them. Alecia Schmuhl was ordered held without bond. Prosecutors said other lawyers at the firm were fearful about the case. Some attended the hearing. A bond hearing for Andrew Schmuhl is yet to come. The couple is being held at the Fairfax County Adult Detention Center.